Black Wall in the spring. 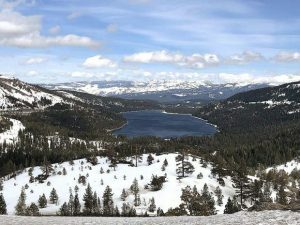 TRUCKEE, Calif. — The Truckee Donner Land Trust and the Access Fund recently signed an agreement with a private landowner to purchase a significant climbing area on Donner Summit. The 10-acre property features some of the most dramatic terrain in the Truckee-Tahoe region, with stunning vistas and world-class climbing on finely textured granite. The acquisition will protect the popular and historic Black Wall, Peanut Gallery and Road Cut climbing areas, as well as the access trail to the popular Space Wall, Shark Wall and Grouse Slabs, all accessible from Old Highway 40. The purchase price is $135,000, based on the conclusion of an appraisal, said Perry Norris, executive director of the land trust. The acquisition also has a number of associated costs, including appraisals — three of which have been done — attorney fees, environmental assessment, a boundary line adjustment a closing costs carried by the buyer, the land trust, he said. The climbing routes were established more than 50 years ago and range from deep chimneys and low-angle slabs for beginners, to overhanging test pieces for experts, and splitter cracks and sport routes for all skill levels. The property has been privately owned since the mid-1800s, but concerns about liability led to the current owner’s need to sell. Truckee Donner Land Trust and the Access Fund — a national climbing advocacy organization — are working with the landowners to protect this superb climbing resource and landmark forever. The Land Trust currently holds a purchase and sale agreement to fundraise and acquire the property by December. Access Fund holds a lease agreement to address liability concerns raised by the private landowners and assist in stewardship. An adjacent 65-acre parcel owned by the Land Trust will also provide access to Black Wall and adjacent crags as part of the town of Truckee trail network and as a scenic viewshed from the roadway. The parcel has a creek that flows year-round typically and will be part of a multi-use, non-motorized recreational trail from Donner Lake toward the climbing wall and continuing up to the summit area. The acquisition will attract more climbers and visitors to the area to spend money in the local community. With support from the Access Fund and local climbers, the Land Trust will steward and provide public access to the property, minimize environmental and visual impacts from climbers, build new trails and trailheads, provide informative signage, and protect nesting peregrine falcons in the area. 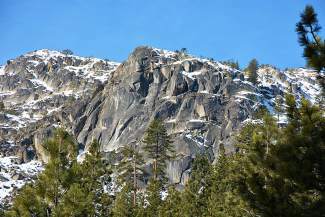 The groups will work with the local climbing community to create a volunteer climber coalition that will help implement a recreation and stewardship management plan for the greater Donner Summit area to ensure best practices. The Land Trust has currently raised $50,000 toward the total fundraising goal of $280,000 and is calling on the community to donate by Dec. 1, 2015. Visit http://www.savedonnerclimbing.org to learn more and make a secure online donation. The Access Fund is the national advocacy organization that keeps climbing areas open and conserves the climbing environment. Founded in 1991, the Access Fund supports and represents over 6.8 million climbers nationwide in all forms of climbing: rock climbing, ice climbing, mountaineering, and bouldering. For more information, visit http://www.accessfund.org. This article was submitted to the Sun by the Truckee Donner Land Trust, which preserves and protects scenic, historic and recreational lands with high natural resource values in the greater Truckee Donner region. 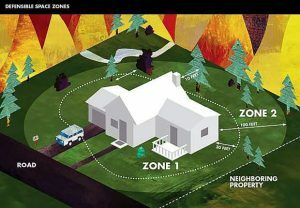 Learn more at http://www.tdlandtrust.org. Sierra Sun Managing Editor Kevin MacMillan contributed to this report.